The SF0101 TUSA Hyflex Vesna combines TUSA’s unique fin design with the latest advanced materials and hydrodynamic innovations. 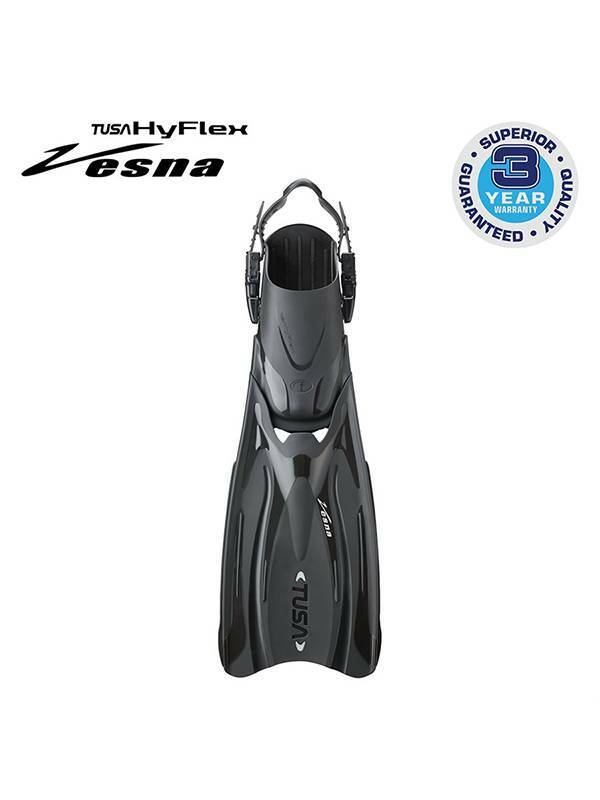 TUSA Hyflex Vesna is powered by TUSA's unique APS "Active Pivoting System" technology, the combination of uniquely positioned holes that reduces drag while maintaining constant propulsion. This advanced reflective material brightly reflects 180 degrees back to the original light source. Providing high visibility in low light conditions. The combination of uniquely positioned holes that reduce drag while maintaining constant propulsion and the built-in fin stop creates a soft kick that produces great power.